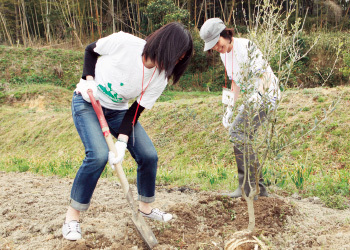 Through the Japan Setouchi Olive Foundation we have planted more than 150,000 trees to help Teshima Island and other Setouchi areas recover from toxic waste that devastated its ecology in the 1980s. 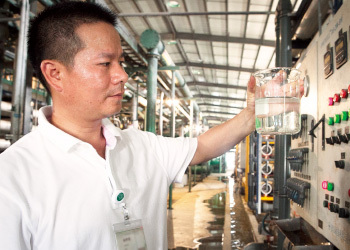 In January 2013 we committed to eliminating hazardous chemicals from our production process and the whole product lifecycle by 2020. We support the Setouchi Olive Foundation in its efforts to protect and restore the natural environment of Japan’s Seto Inland Sea, including its coastal areas and many islands. We are constantly striving to minimize the environmental impact of our operations and maximize efficiencies. We are also committed to completely eliminating all hazardous chemical emissions from its processes by 2020. This booklet introduces UNIQLO activities that try to make the world a better place through clothing. Copies are available on line and our stores in most markets.